Watch Part 1 and Part 2 of the series, in which Jesse introduces Tourism Australia’s evolution from an iconic spokesperson campaign, and shares the four lessons of social media-led marketing. We finish our video series with a quick summary of the influencer-led campaign that Tourism Australia undertook with GoPro. 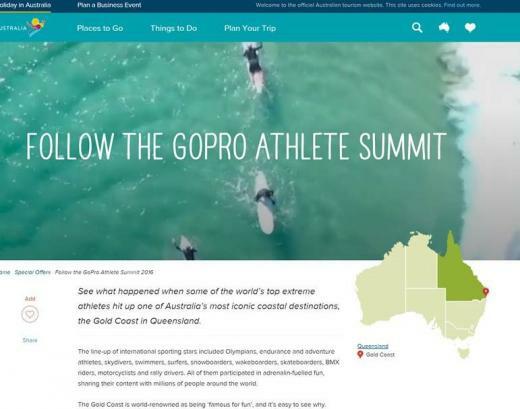 In 2016, Tourism Australia worked with GoPro to bring 74 of their top athletes to Australia. 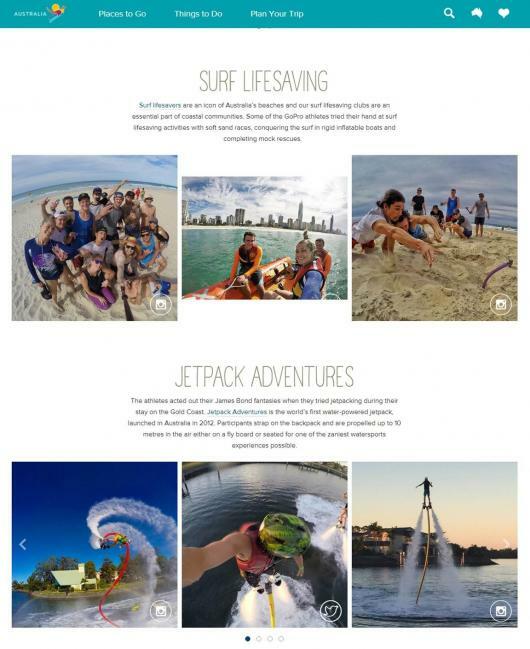 These were influencers with strong social media connections in their respective interest areas from skydiving, surfing, wakeboarding to diving. This initiative was a large-scale example of a very popular form of social media-led marketing for tourism organizations – leveraging influencers to create, curate and share compelling content with their community. Jesse describes the critical elements of driving “value to the organization” from these influencer programs, focusing on building and sharing a platform on the site (www.australia.com/gopro) the content can be centered around – with social media channels complementing this central “hub.” An aggressive plan to edit, adapt and repurpose the enormous amount of content (sometimes called “The Power of 3s”) is another important takeaway. Finally, clear alignment of the influencer with the tourism organization’s objectives is a critical issue – also highlighted in a major 2016 survey of influencers by Altimeter, which reviews problems such as influencers not having access to campaign analytics; issues in compensation; lack of time; and/or other restrictions from the client that may limit the authenticity or engagement of the content. For tourism organizations, the primary issue is usually reviewing the wide range of approaches from influencers and finding the right match – rather than relying on influencers who focus on amplifying their own brand more than that of the client. One final tip from Jesse: for influencers like the adventurous GoPro team, don’t forget to have an up-to-date safety management plan to minimize the risk of an accident, rather than the campaign, being the story that gets most coverage.